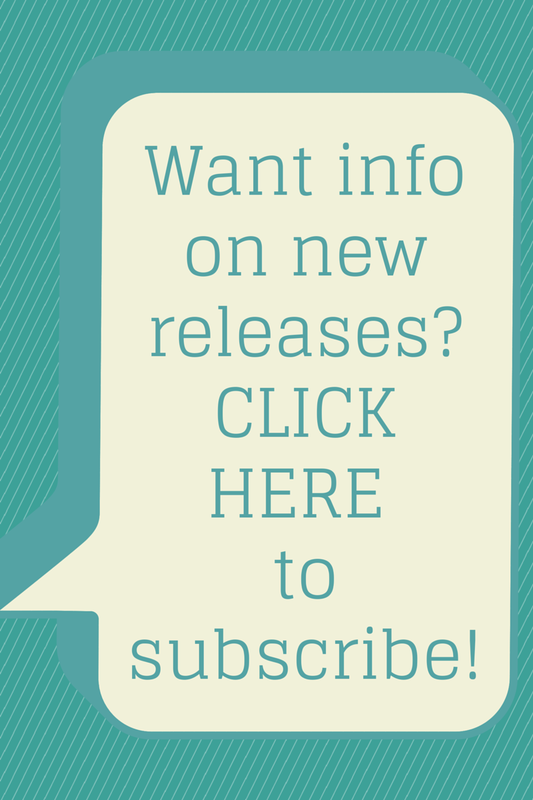 Author Spotlight with Sophie Littlefield! 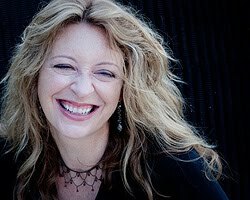 Sophie Littlefield is the author of several thrillers for adults, including A Bad Day for Sorry and A Bad Day for Pretty. Her debut novel, A Bad Day for Sorry, has received nominations for an Edgar Award, an Anthony Award, and a Barry Award, all for Best First Novel, the Macavity Award for Best First Mystery, the Crimespree Award for Favorite First Book and the RTBookReviews Reviewers Choice Award. I’m thrilled down to my toes that Sophie agreed to be the Author Spotlight for October. I’ve gotten the chance to know her at the San Francisco Area meetings for RWA–another great reason to join a local chapter of writers–and let me tell you, she’s awesome. Her books are page-turners with real gritty characters you want to keep your eyes on. And her spunky southern personality sparkles through her dialogue making you want to get to know the writer behind the award winning novels. Here’s your chance. I’m doing a two-part spotlight this month with the opportunity to win a free signed copy of Banished in celebration of its release! “There isn’t much worth living for in Gypsum, Missouri—or Trashtown, as the rich kids call the run-down neighborhood where sixteen-year-old Hailey Tarbell lives. Hailey figures she’ll never belong—not with the popular kids at school, not with the rejects, not even with her cruel, sickly grandmother, who deals drugs out of their basement. Hailey never knew her dead mother, and she has no idea who her father was, but at least she has her four-year-old foster brother, Chub. Once she turns eighteen, Hailey plans to take Chub far from Gypsum and start a new life where no one can find them. KM: When did you first realize you wanted to be a writer? SL: The minute I could write words! I used crayon to “write” in my books when I was little and I think even then I wanted to be part of the process of making stories. KM-Can you give the rundown of your journey to publication? Was it riddled with gravel and obstacles? Or was it a smooth, pristinely paved road? SL: HA – love that, and yes, mine would be gravel-strewn and there would be places where the asphalt was broken and giant potholes. I wrote my first book about 17 years ago, and wrote lots more before I ever sold one. A BAD DAY FOR SORRY was my ninth book. I received countless rejections and some of them were very painful. Just the other day I found a home for a story which, when I wrote it, received one of the chilliest rejections ever. The editor pretty much hated it, and I allowed myself to believe it was a bad story. But time passes and eventually I re-read it and thought to myself that it had some merit. The editor who chose it for an anthology loves it, and I respect his opinion. I wish I could go back to my former self – the one crying and/or cursing in front of the keyboard late at night – and whisper that it really would work out one day, if I just kept trying. KM: After being nominated for a whole slew of awards (all of which you so deserved) for A Bad Day for Sorry, how did you deal with the pressure to pump out a second critically acclaimed book? And a third? KM: How would you describe Banished to your ABDFS followers? SL: It’s a very different voice – dark, angsty, fearful. Hailey, the protagonist of BANISHED, is not at all sassy or vengeful, and my treatment of the issues she faces is serious, rather than tongue-in-cheek as in the Stella books. That said, my editors have told me there is common ground between the books. They find voice similarities (hard to see when you’re the author) as well as setting – both take place in rural Missouri. And a sense of justice and empowerment for the women and girls in the books, of course. KM: How were you able to effectively switch gears between mystery and dystopian YA? SL: For reasons unknown to me, I have no trouble at all switching – and while writing these books I was occasionally working on still other projects as well, I have never had any difficulty putting myself in the head space and mood of whatever character I am writing. Maybe it’s a sign of some mental illness or shortcoming, but I prefer to think that I am simply nimble emotionally. Just as some people can learn many languages and keep them separate in their minds, I seem to have a facility for understanding psyches – real or fictional. KM: Can you give the rundown of your typical writing day? SL: Ugh! I am hoping this is not always the case – but I’m pretty obsessed right now. I get up around 6am and make breakfast for my kids and chat with them until they leave at 7. Then I’m in the chair until they get home – with a break for the gym or to take a hike. I spend the evening with them – I like to cook a decent meal for them most nights – and there’s a lot of talking and yelling and playing with the dog, and hollering about tardies and detentions, and Junior and I might paint our nails or go to Marshalls, which is just 2 blocks from our house. Then we all do homework – mostly email and promo, in my case – and Junior would kill me for this but I still read to her, just a few pages. None of us gets enough sleep – I’m usually at the desk until after midnight. Now I should point out that, while I’m in the chair and hands-on-keyboard, much of that time is not being used…ahem…productively. This is my curse, and I am working really hard to try to become more productive. Also, I take breaks every hour or so to do all the house stuff – cleaning and laundry and napping and *occasionally* brushing my teeth. KM: What’s next for you? SL: Later this week I’ll be attending Bouchercon, which is the big mystery conference – kind of like RWA National for romance. This will be my fourth one and I love it, especially since now I have so many friends in the business. Next year, I’ll have four books coming out. The third Stella, A BAD DAY FOR SCANDAL, will be out in June. The sequel to BANISHED, UNFORSAKEN, will come out next fall. And I’m very excited about a new series, a post-apocalyptic trilogy from Harlequin Luna. The first two books will be out in March and August, and they are titled AFTERTIME and REBIRTH. I’ll be doing some travel next year, including the ALA conference, possibly SCWBI, BEA, and then Thrillerfest and RWA in the summer. Visit her online at www.sophielittlefield.com. 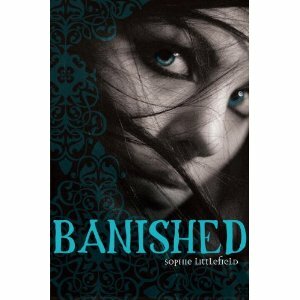 Buy Banished at Amazon here. If you’re wondering how to get your hands on Banished, it’s easy. All you have to do is Follow my blog with an email and leave a comment on either today or tomorrow’s post featuring Sophie Littlefield. In that comment, let us know what type of book you like to read best. Is it historical? Thriller? Paranormal? Suspense? And let us know what draws you in about those books. Contest ends one week from today: October 19th, 2010. U.S. entries only, please. My comment (though I’m not entered to win): I usually like a plot-driven paranormal with uber powerful alpha males and blood spilled on the page. Lately, though, I’ve been hooked on historicals. I’ve read two this summer and plan to read many more. Did I mention Banished is tops on my To Be Read pile? Stay tuned tomorrow for some of Sophie’s likes and dislikes, including how she’d rather kick the bucket: Death by zombie or Death by Stella. This entry was posted in Author Spotlight, Sophie Littlefield. I love reading smutty paranormals, but this looks good. Can't wait to read it!